The latest draft agreement from Paris’ #COP21 climate negotiations on the future of our planet is surprisingly concise at 29 pages, but technology gets a whopping 68 mentions within this potentially world-changing document. Much of this outlines how rich nations can help finance tech innovations that will assist developing countries in addressing climate change, as well as focusing on sharing technology solutions to avoid duplicated effort. Trouble is, despite the fact that technology companies like Google, Microsoft and Facebook are making significant attempts to develop new tech and reduce their own footprints, they were strangely absent from #COP21’s parallel Sustainable Innovation Summit. And there was certainly very few startup innovators on its list of speakers. You could see BMW, owned by climate-cheater Volkswagen, or global-warming contributor Coca Cola, as well numerous heads of government who have been trying and failing to to tackle the huge challenges that climate change presents. 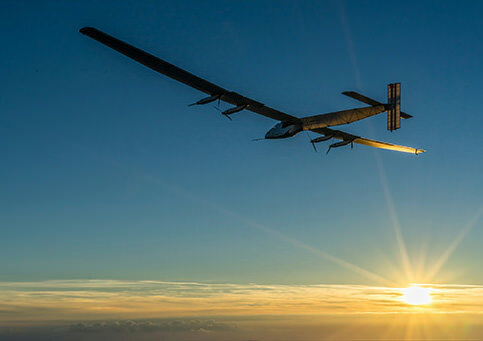 But there were just three young, innovative tech companies speaking at the summit: fuel-zero airplane company Solar Impulse, electric scooter startup Gogoro and environment commodities trading platform Carbon Trade Xchange. Unveiled on November 30 to coincide with the opening of #COP21 was the Breakthrough Energy Coalition startup fund, comprised of Bill Gates, Mark Zuckerberg and Amazon CEO Jeff Bezos, plus other tech leaders. This group has agreed to work with 20 governments as part of Mission Innovation, which should see investment in cleantech by these nations, which include the US, UK and China, double over the next five years to $20 billion. But where were Gates, Zuckerberg and Bezos when the stage opened at the Sustainable Innovation Summit? And what about all the startup innovators from across the globe? Looking at the draft text, it appears like #COP21 could accelerate much-needed climate innovation. Unfortunately, we might have to wait another few years for bureaucrats and corporates to finally cede some airtime to those who’ve been making big and small innovative steps on the ground for many years. And, after all, it could likely be five years at least before the Breakthrough Energy Coalition project has something to show for itself. I just can’t help but feel like if the COP negotiations more clearly involved the big names behind the products that we all use, need and, probably even love, the climate debate might be as cool as the latest lightning-compatible headphones. Or that, just like this year’s scrambling attempts to get a legally-binding target on global carbon emissions after ‘crucial’ negotiations failed at COP back in Copenhagen in 2009, this all feels too little, too late.